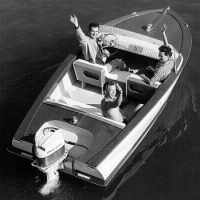 I am considering building the amp-eater electric boat as my first ever boat build project. I would like to include about 300-400 watts of solar panels to a top to charge the batteries. I thought the 13 foot amp eater would be a project that would give me some boat building experience as well as experience fitting inboard power components. It would also be a project that I think I could complete in 9 moths to have ready next summer. My main concern with this is how it would affect stability of the boat with 40 or 50 pounds of solar cells 4-5 feet over the deck. The boat is very nice looking and would be perfect for my wife and I who do a lot of bird and nature watching from the water as well as room to take our 2 grandsons along from time to time. We mostly boat in horsepower restricted lakes but not always and this little boat looks like it could handle the swells from a passing speed boat with out too much problem. I would appreciate any thoughts or suggestions you might have considering a choice of plans for a first build and my thoughts about the amp eater. I am open to suggestions. I'm far from an expert on the subject, but I think it would be too unwieldy. I'm not sure what panels you've looked into, but from what I've seen, to get that kind of output it would be close to a 4x8 sheet worth of solar panels. Can't imaging any way to make that look good on that little boat. Maybe in a few years as solar power technology continues to improve, who knows. Also, I don't want to rain on anyone's parade, or say something can't be done. But 9 months is a really aggressive timeline. Especially for a first build. P.S. family and friends call me capt Dave around the water from the many houseboat trips and the years of sailing dad and I used to do. I am building a similar vessel put based on tug boats for a wider beam. I also will be using 600 watts solar to recharge batteries. Using the 100 watt flexible with the plastic backs weigh only 3.5 lbs each. So not so bad to keep center of gravity don plus weight of batteries a s ballast helps as well. I am using a 36 volt trolling motor equals 1.5 hp. I took the first step toward building the amp eater by ordering the plans. I should have them next week. I decided on the amp eater because it seemed like a simple build compared to others and something I could likely finish in time for next summer. Also the Amp Eater would fill 90% of our local boating needs very nicely. I am wondering how many Amp Eaters are out there? I have only seen pictures of 4 different builds on the web. Soon there will be five. Ill be interested in following your build. I really like this design. The Amp Eater plans have arrived. I am anxious to get started. I guess I will have to begin by cleaning out the barn. The Stitch and Glue Kit for the Amp Eater is scheduled to arrive tomorrow via UPS. This weekend I hope to make a trip to the amazing Wood Werks Supply store that is only about 12 miles from my house. (thisiswoodworking.com) I will purchase the necessary sheets of Hydrotek Meranti plywood and some of the other necessary lumber to begin the project. I will probably use mostly white oak for framing except where I may want mahogany for exposed wood work. I will have to study the plans and begin making a list. Fortunately I don't have to go far to get what I need. I used flexible Ganz solar panels for my sailboat. The panels can take foot traffic and are significantly lighter than the traditional solar panels. Of course, they are more expensive, but my 115 watt array charges my 215 amp-hour 24 volt bank charged to power a Torqeedo Cruise 2.0 electric motor while on a mooring all summer. I am attaching a photo of "Ophelia" careened while waiting for the tide to return. I won't admit it was a grounding right after launching because that would be embarrassing. These are built in North Bend, Washington. I saw these in use at the Wooden Boat Festival in Port Townsend last month. The cool factor is way up there. These motors have a small rudder built in and the propeller looks like that on a small airplane. Very efficient thrust. A small six-pound lithium battery satchel will power the motor at full throttle for up to four hours. I imagine you could get away with using a smaller solar panel array with this system than with any other. They're not cheap at about $1100.00 for a complete setup, but it's efficiency might save you money in other ways. I will likely be using something like the ME0909 MotEnergy Permanent Magnet motor running 24 volts following the plans. What I do with solar power will likely be dependent upon budget considerations when I get to that point. Unless the flexible panels come down considerably in price between now and then I will likely be using a single 200-250 watt panel. At about $1 per watt not including shipping I think it would work. I don't think the 40 lb panel weight will be too much. 8 hours in the sun would give me enough juice for 2-3 hours of cruising at 5 mph. More than ample for my current needs. I have spent the past weekend improving the storage areas in the barn to clear out my boat building space. This included pouring an additional concrete pad. (I meant to do that 5 years ago) I appreciate the suggestions and interest in my project. I hope my next post has some real boat building to report. So you have probably wondered what has become of the Amp Eater project. I am happy to report that it is alive and well and moving along at full steam after suffering a number of delays. Every available evening and weekend will be devoted to this task so that we may be ready before the gathering in September. I ordered the motor and drive kit from EVDrives.com. The kit includes the Motenergy ME0909 Motor, Alltrax SR48300 Controller and Contactor. I also oredered reversing contactors, key switch 4awg cable and lugs. I also ordered a 11 Diameter 12 Pitch 1” Shaft Michigan DJ355 3 Blade Bronze prop. Most of the other drive component and rudder as well as the hull fiberglass kit have been ordered from Glen-L. probably the most expensive week of the project. Thanks for the update, Capt. Dave! Visit our Blog & Create Your Own!